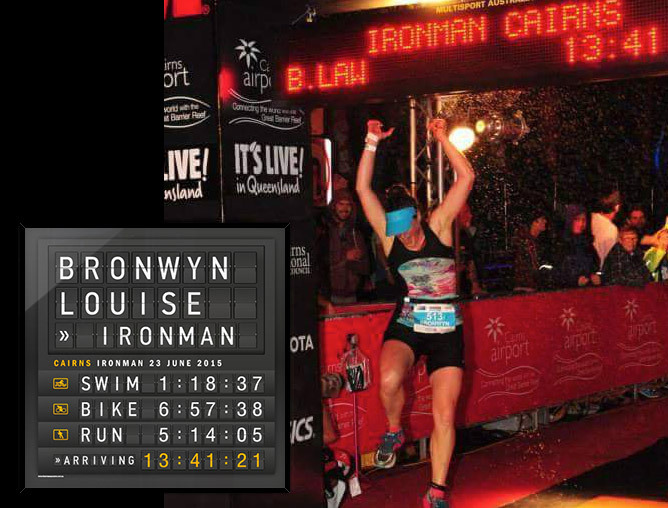 Highlight a sporting event and achievement with a highly detailed and personalised airport board poster, to celebrate your own achievement or it makes for an amazing gift, as well! Feature the name, event, where it was held, times and results. 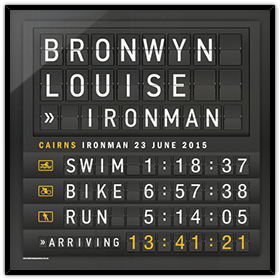 Bronwyn's personalised Ironman airport board features her individual stage times, highlighted by relevant sporting icons with her overall finishing time. 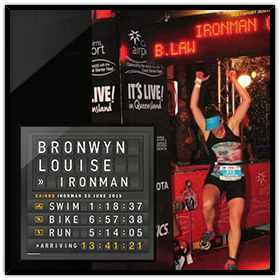 These can be customised to feature a triathlon, Ironman commemoration, football achievement or just about any other sporting celebration. 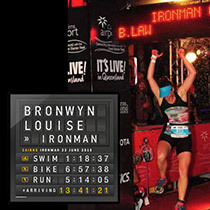 We can personalise your sporting achievement in any way that you like. Additional graphics such as custom icons may incur a small extra cost.